The attorney said that the prosecutor wanted to talk to me. When she said that the prosecutor wanted to talk with me, I thought that it was good news. I thought that they were going to drop the charges or offer something. I had no idea that the prosecutor was calling me to tell me to tell my son that he should accept the 13 years plea. He was 20 years old with no prior criminal history. He did not commit this crime. If he had committed this crime, it would have been his first offense. Who offers 13 years to a 20 year old college student who has never been in trouble a day in his life. I couldn’t believe that this is what the phone call was about. Our attorney had told us about the plea before and we said no, no, no. Why didn’t she try and help my son? Why would she have the prosecutor try and talked us into something that we had adamantly said no to? The prosecutor became mean on the phone. I remained calm and polite the entire time. The prosecutor tried to convince me that if my son went to trial, the judge could give him 65 years. She tried all forms of persuasion. In the end, she hung up on me. I knew then that she was going to become vindictive. I do not know what the attorney was doing. I do not know what she had up her sleeve. First of all, the prosecutor and I should have never talked. Secondly, my son had never gave permission for this conversation. 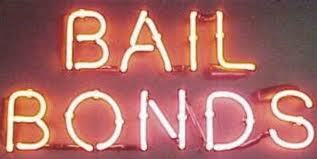 I have to remember that she was recommended to me by a bail bondsmen. This is illegal in the state of Florida. In other words, she is a participant in an illegal act. should report this action to your local law enforcement immediately. how competent is the attorney? My next post will be emails from the attorney stating that the prosecutor wanted to talk to me. Thank God I do not delete emails. I have had them for the past 3 years.